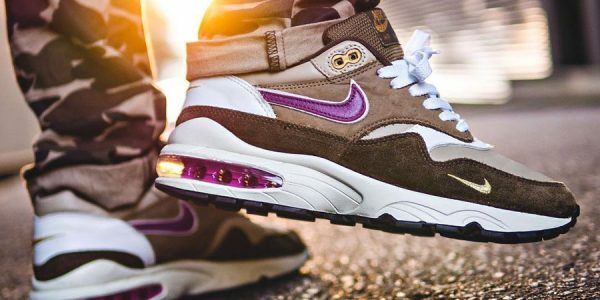 Out of the select few stores who can pride themselves on having done a Nike collaboration, Tokyo’s atmos stands out in particular. 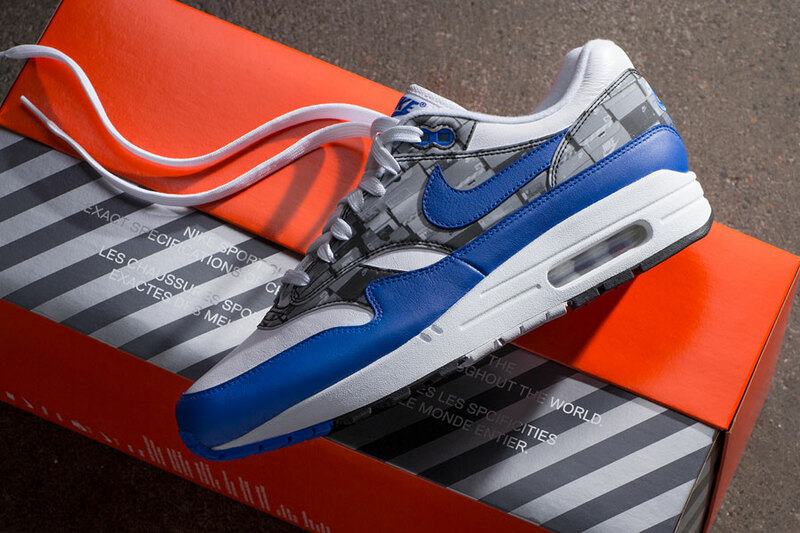 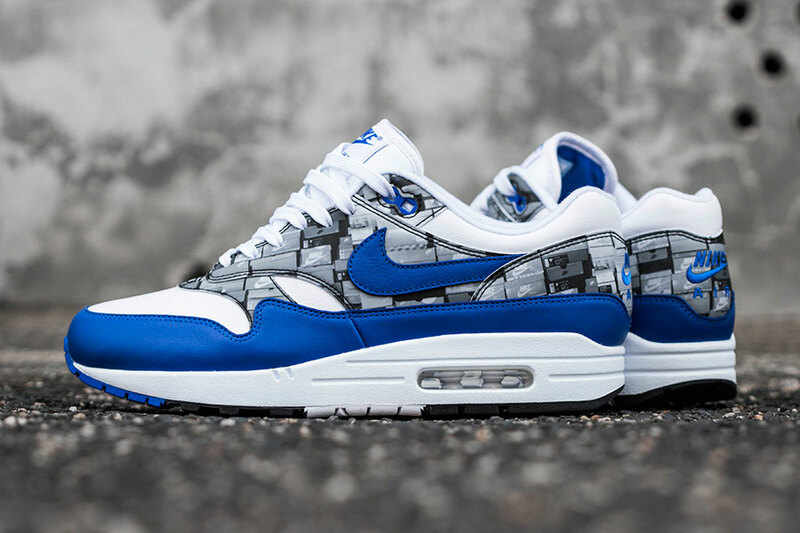 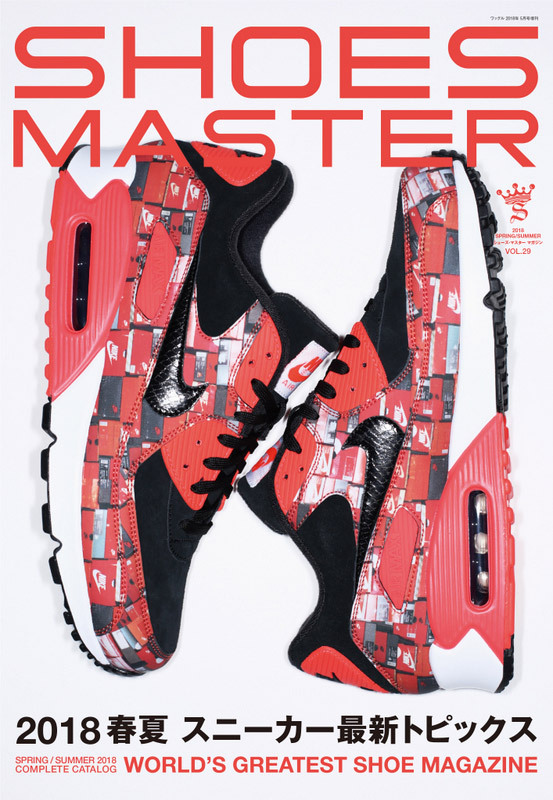 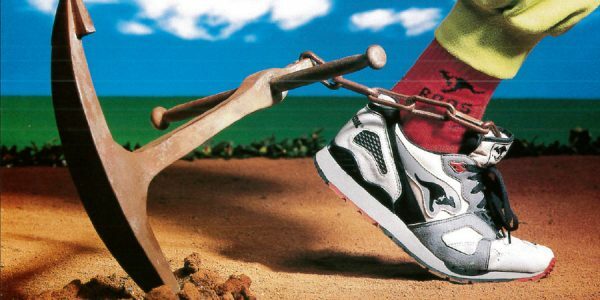 In the past, the Japanese boutique has crafted sought-after projects like the Air Max 1 “Elephant” or the Air Max “Animal Pack”. 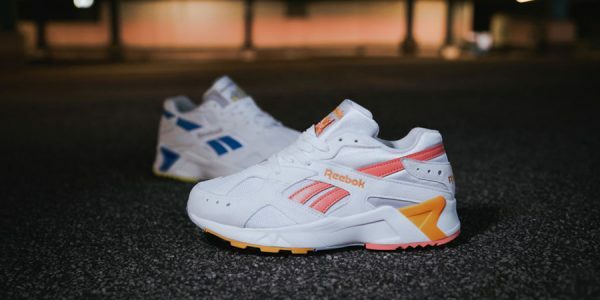 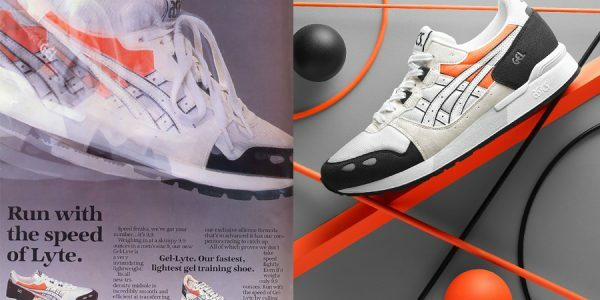 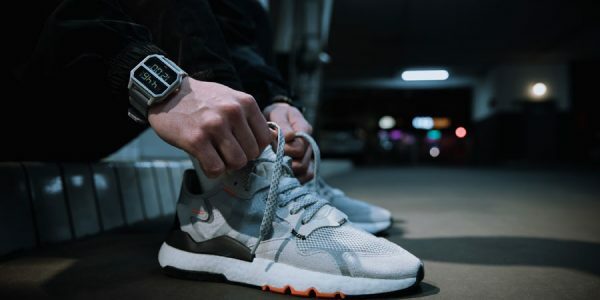 To the sneaker community’s delight, both of these collabs have been re-released just recently. 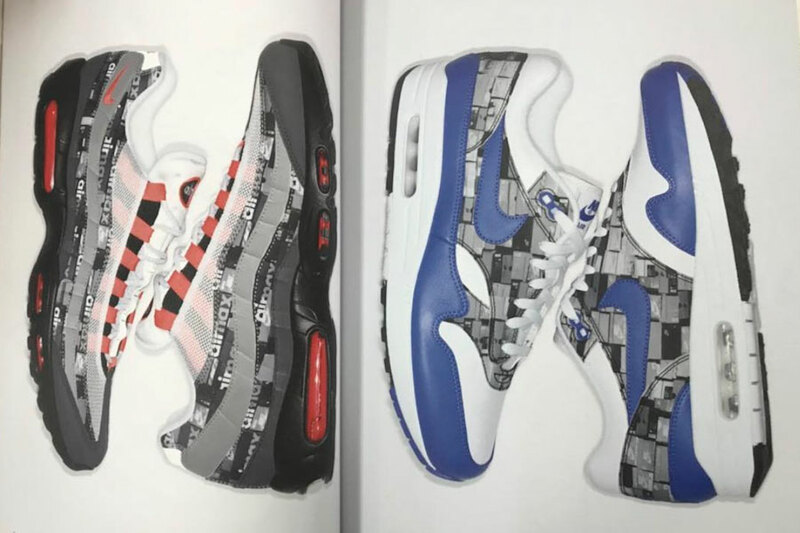 For 2018, atmos finally turns heads again with an all-new project. 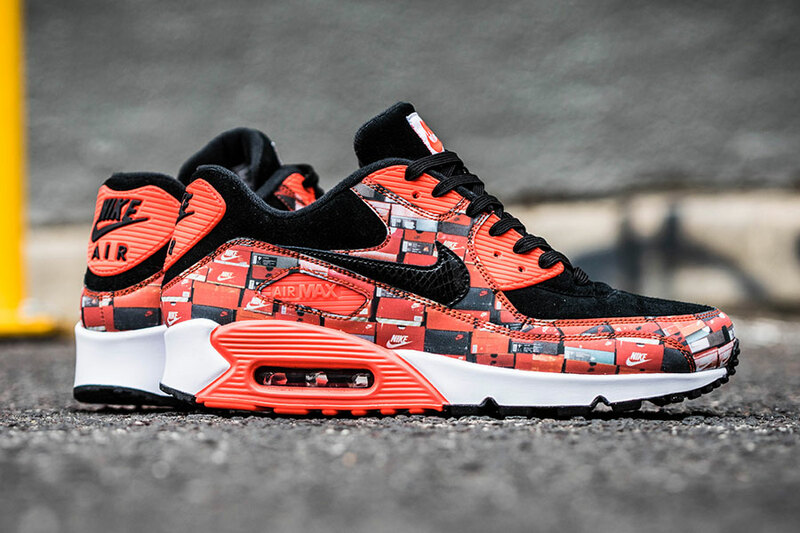 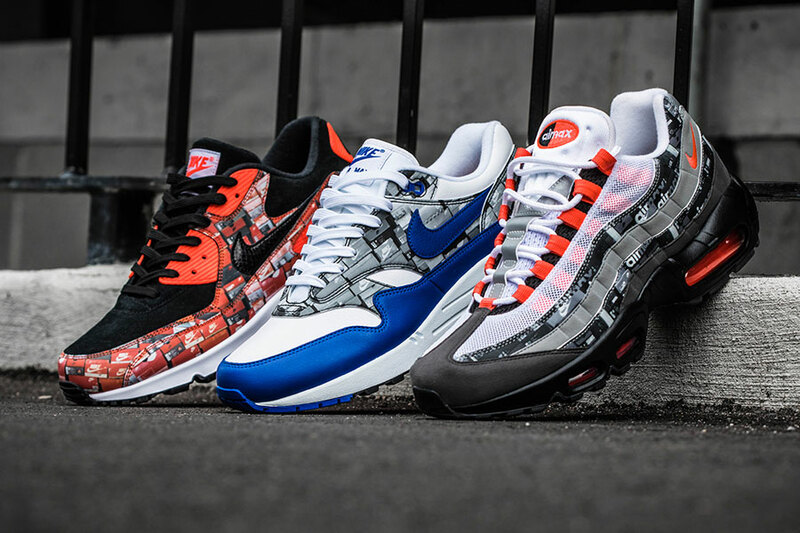 The atmos x Nike Air Max “WE LOVE NIKE” collection features four different sneakers. 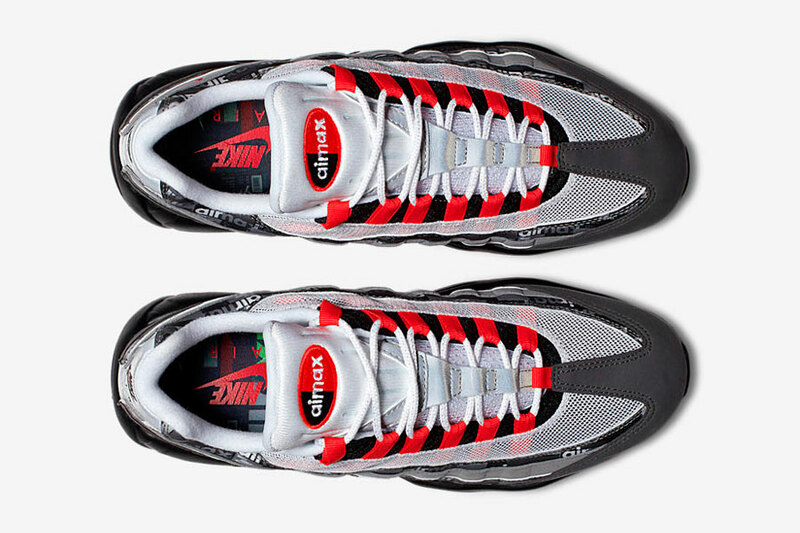 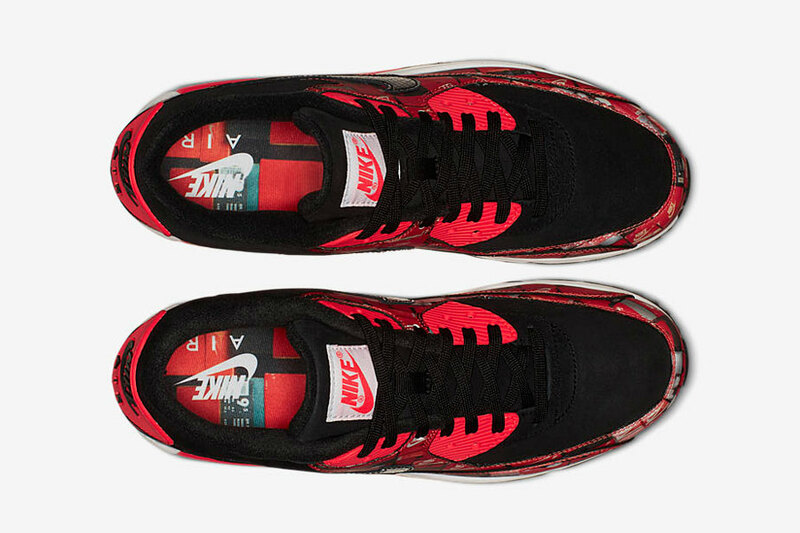 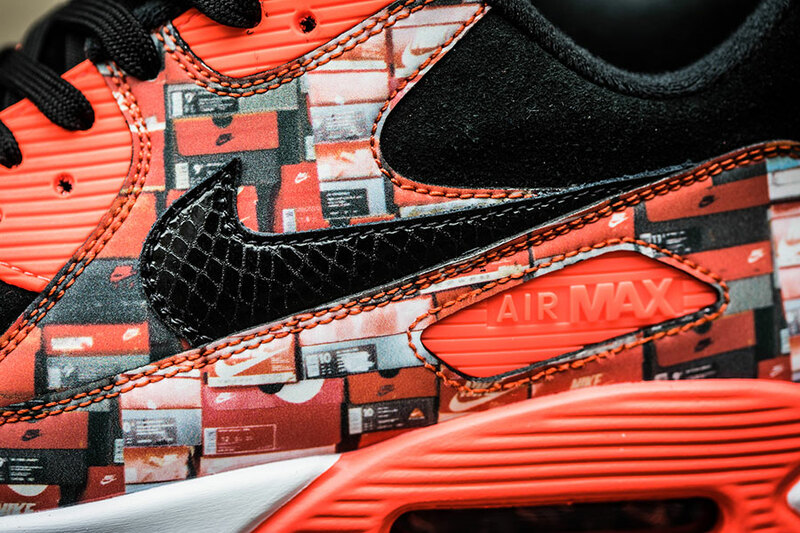 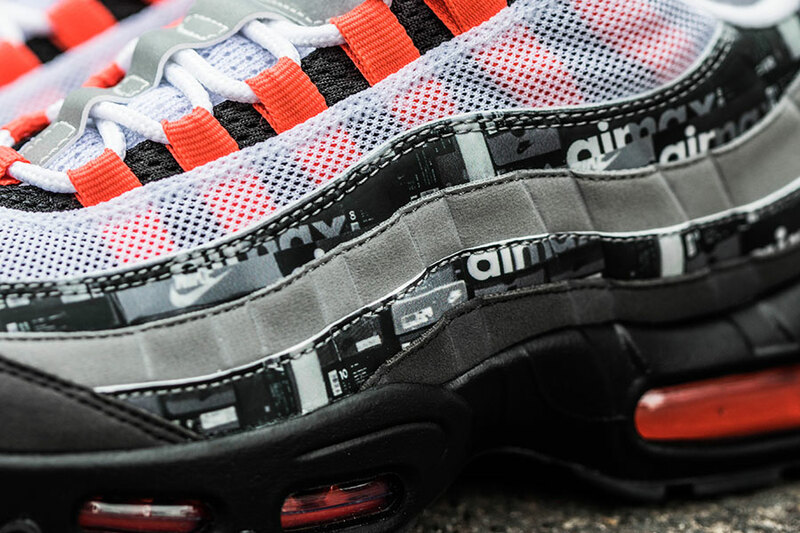 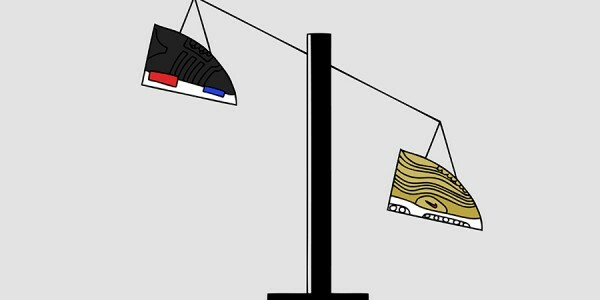 The Air Max 1, Air Max 90 and two Air Max 95s all assume a very distinct look. 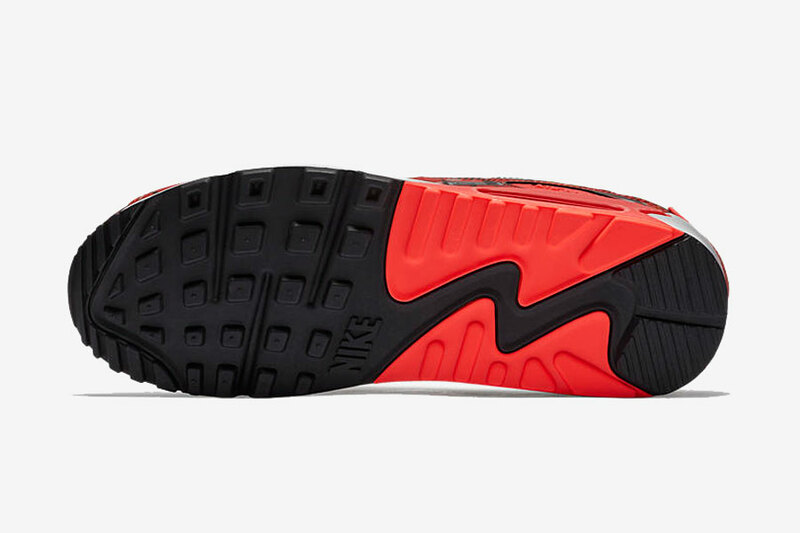 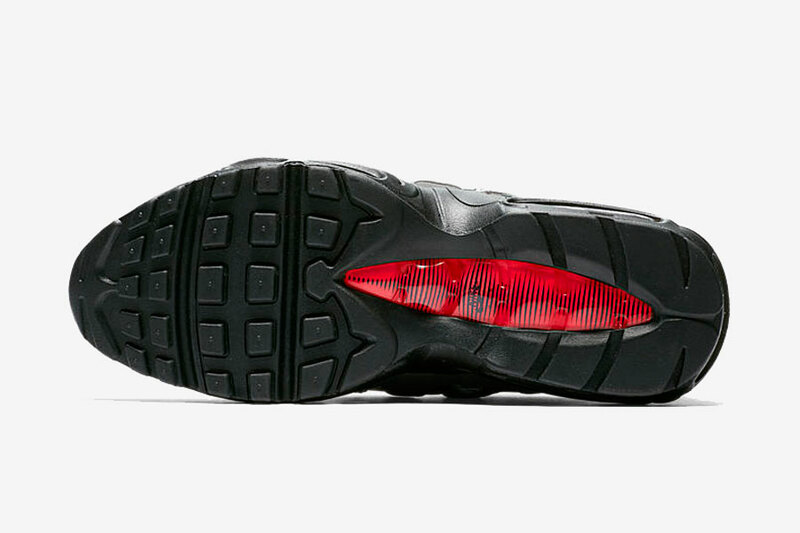 At first glance, the uppers seem to feature a patchwork-like arrangement. 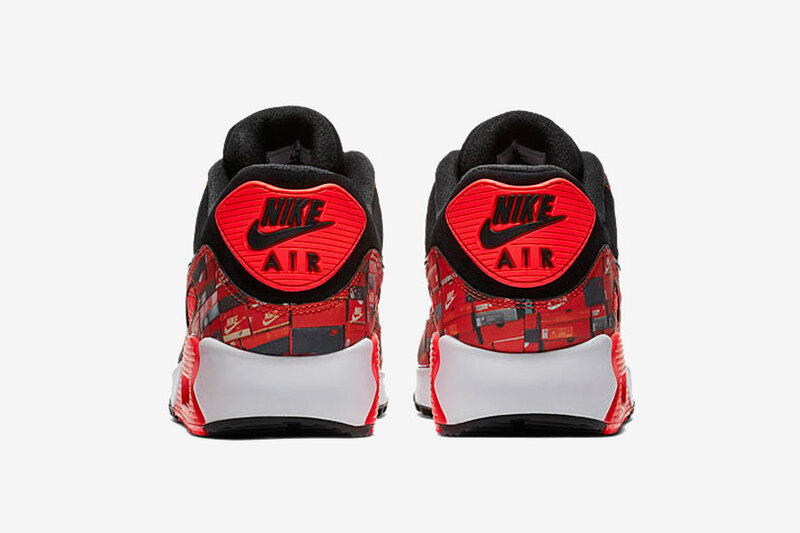 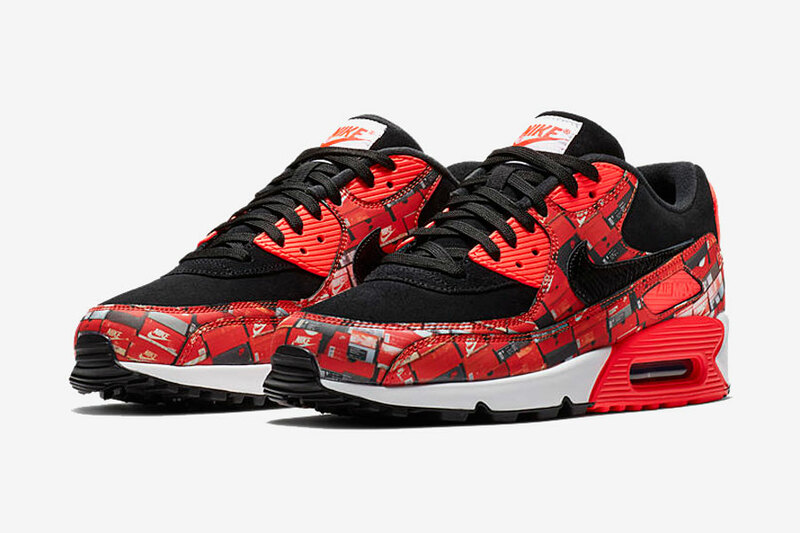 But if you look closer, you can see that it’s actually a unique pattern featuring Nike shoe boxes. 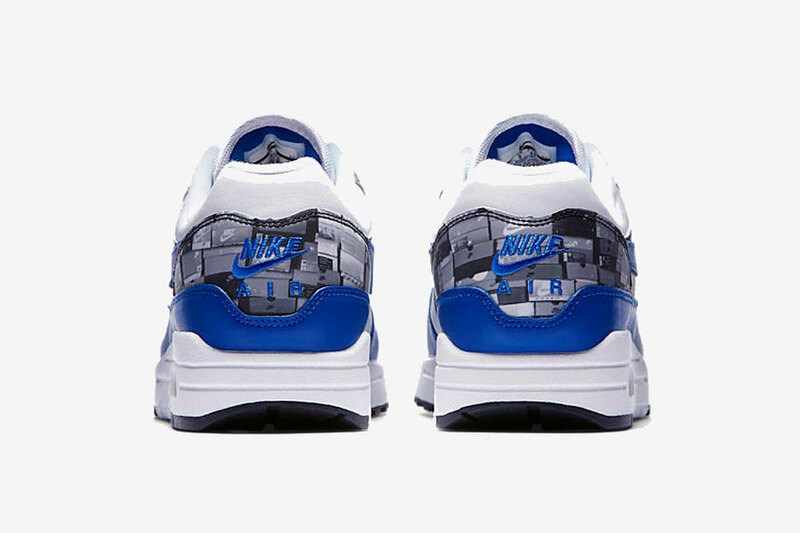 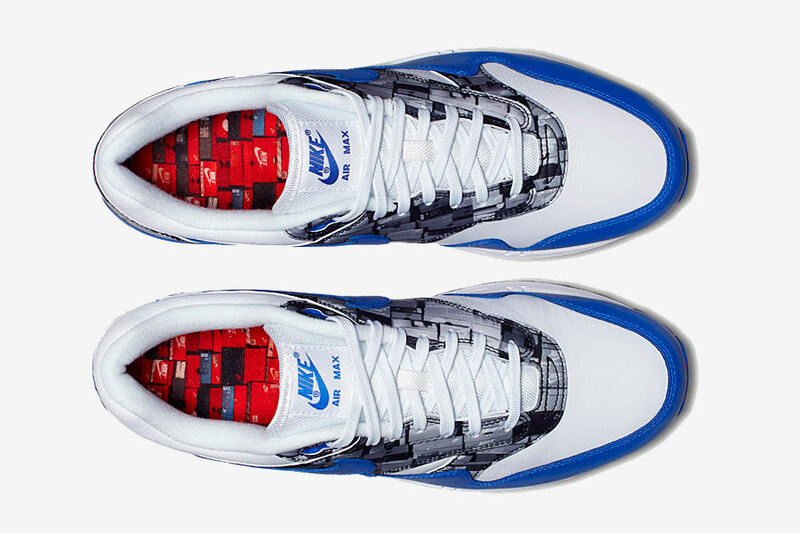 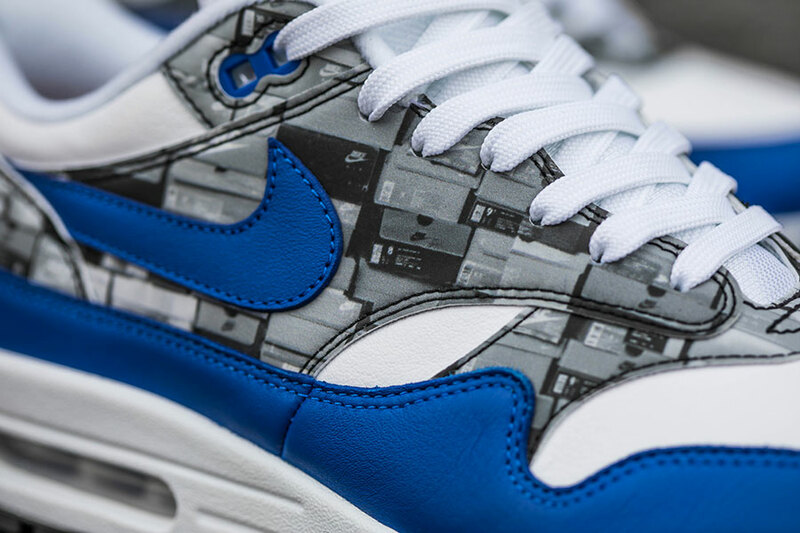 The collection’s three main models each reference a classic AM 1 (Game Royal), 90 (Infrared) and 95 (Solar Red) colorway. 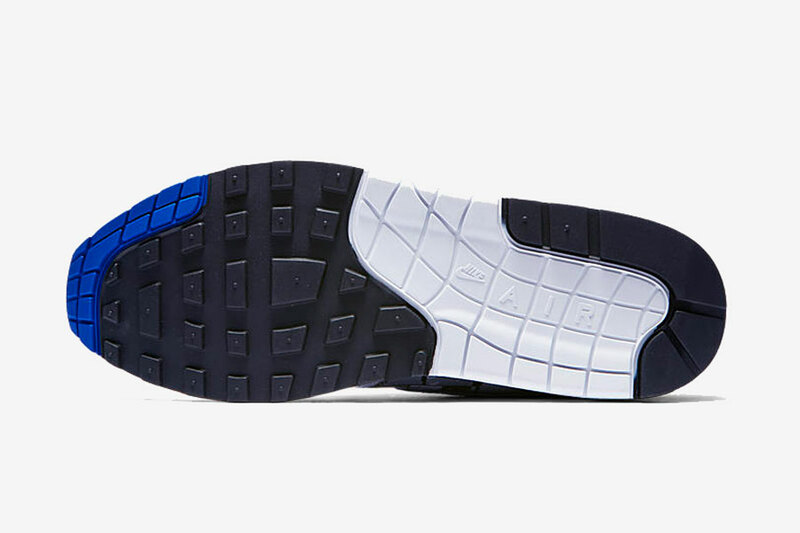 Premium material choices like nubuck, smooth and patent leather also add a fresh twist to each style. 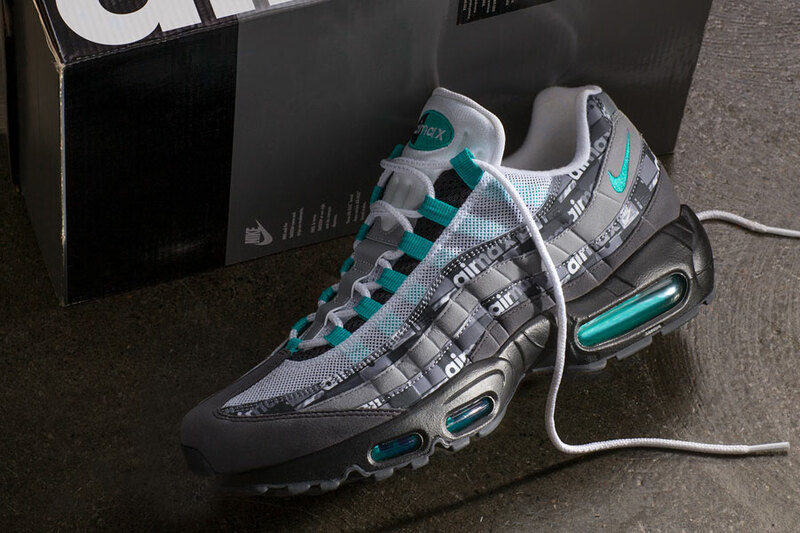 In addition to that, the atmos Air Max 95 “Jade” already released exclusively at atmos locations. 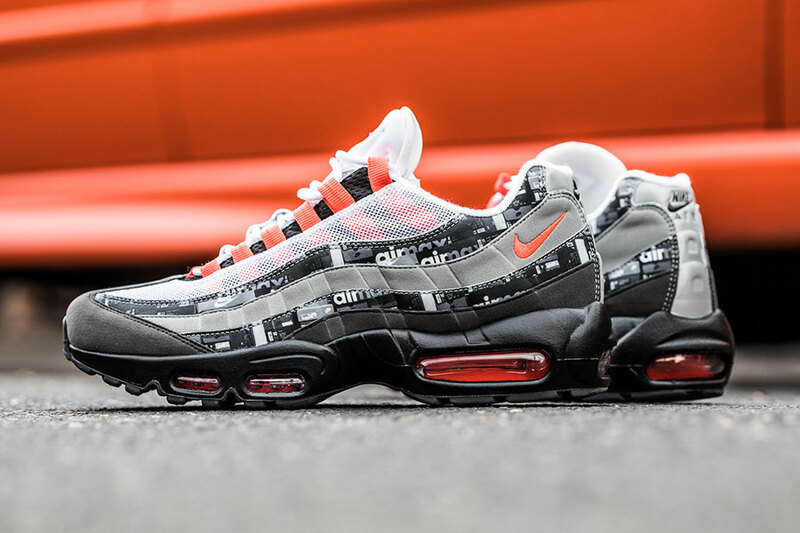 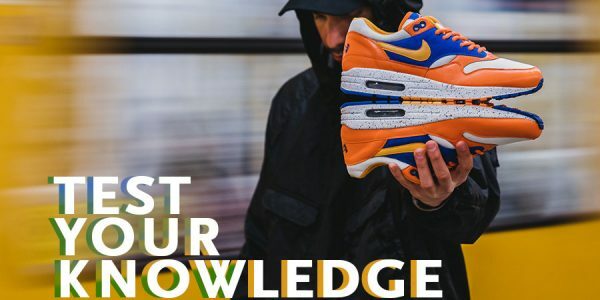 The rest of the collaborative project, drafted by atmos creative director Hirofumi Kojima and finalized by Nike designers, now finally gets an official release date. 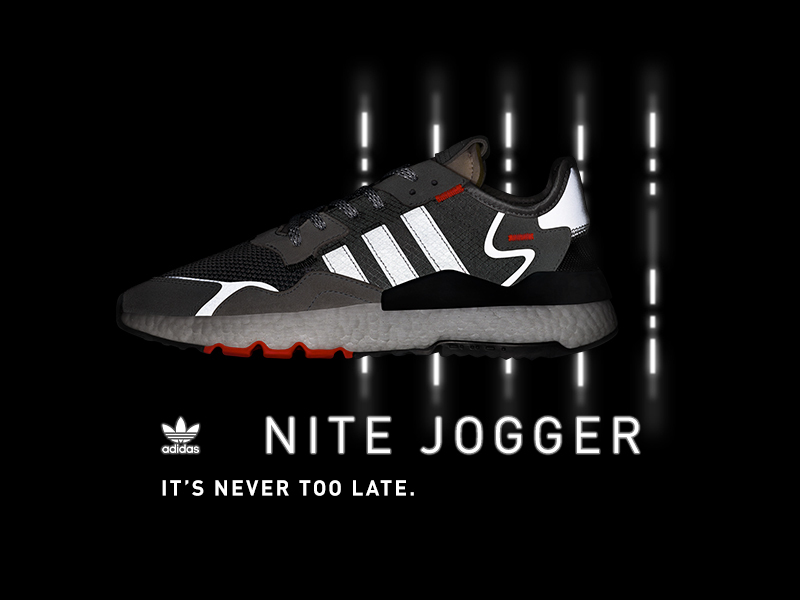 Check out the official images down below and read on for the launch details. 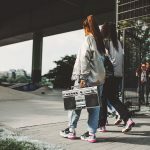 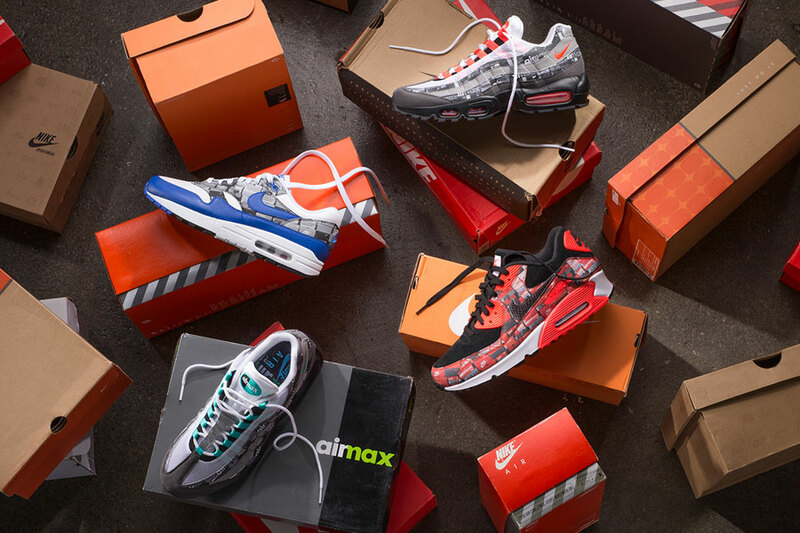 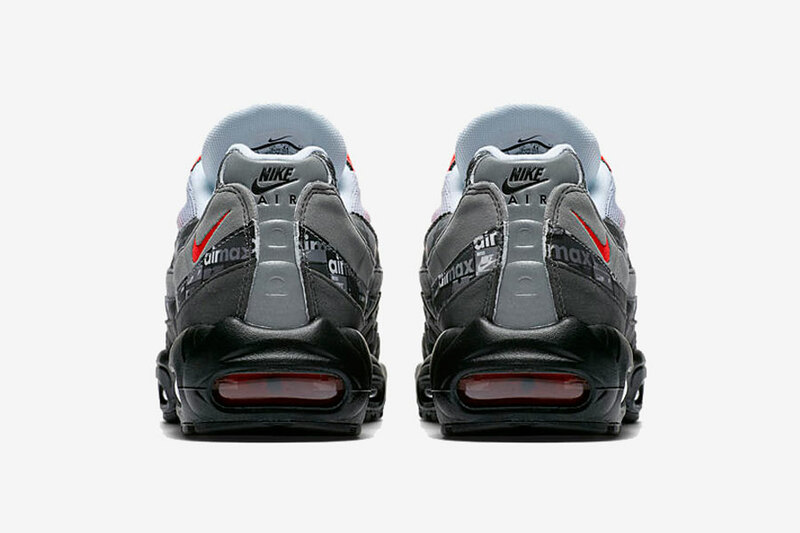 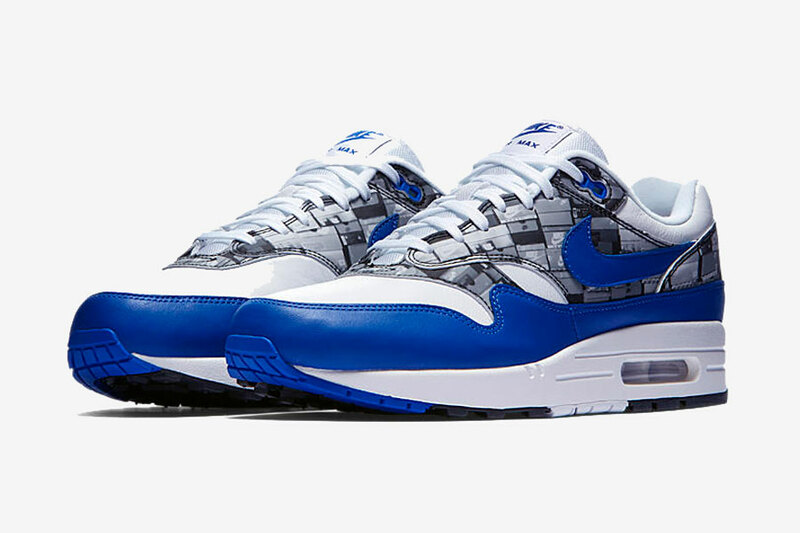 In Europe, the atmos x Nike Air Max WE LOVE NIKE Pack releases on May 26, 2018 via nike.com. 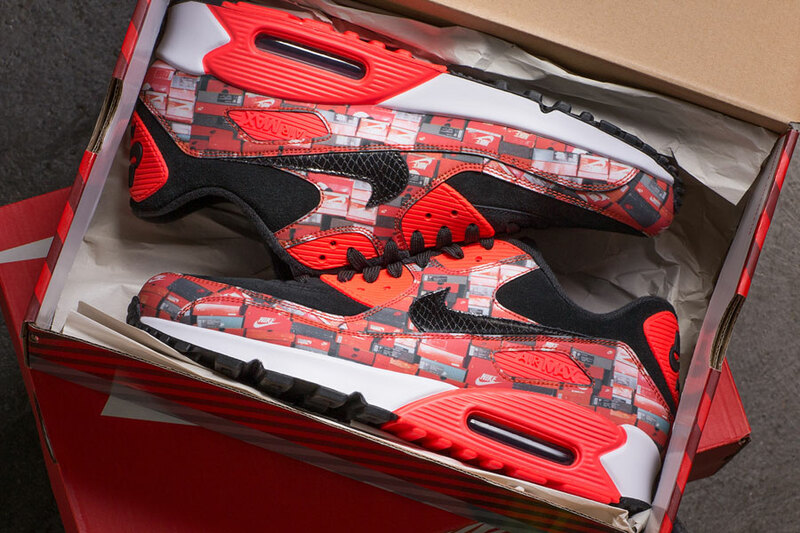 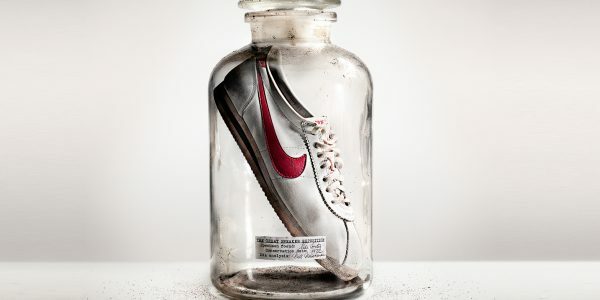 Select retailers like Terrace Tint and Slam Jam Socialism will also carry the sneakers. 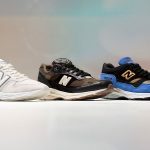 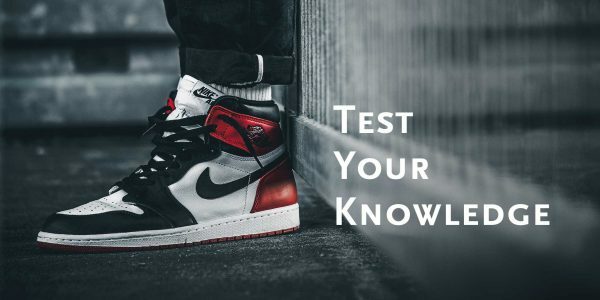 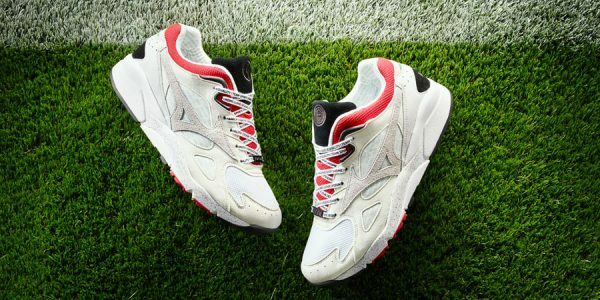 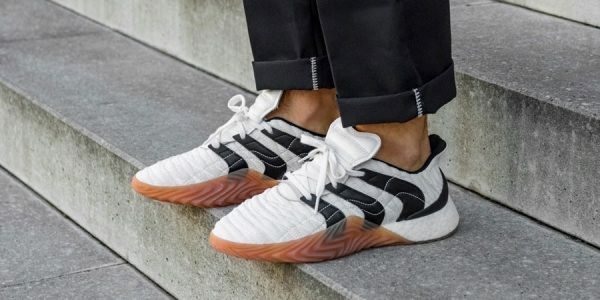 US heads need to be patient for another week, as the three shoes land at stateside retailers on June 2, 2018. 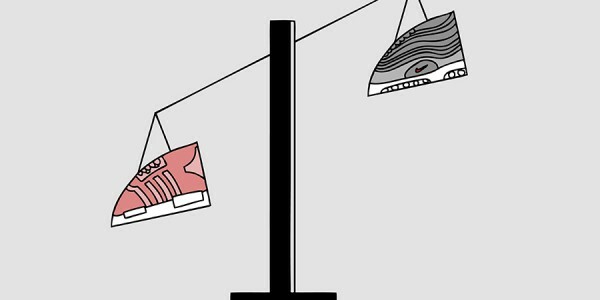 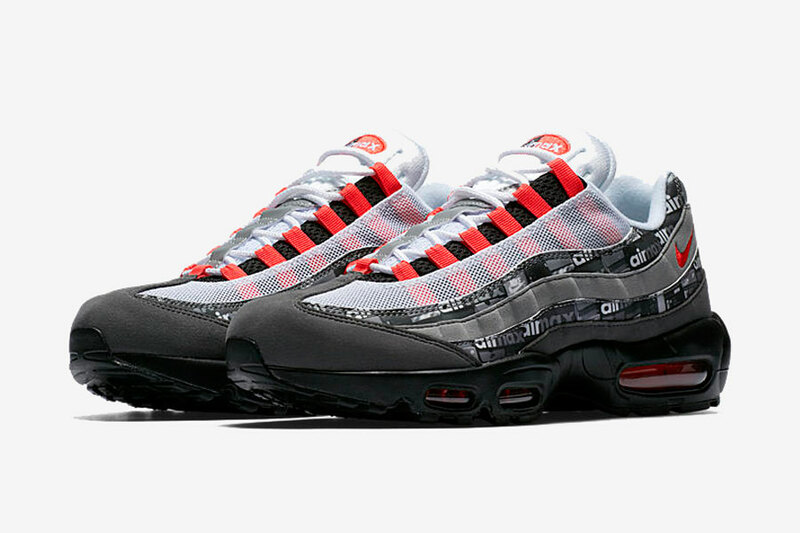 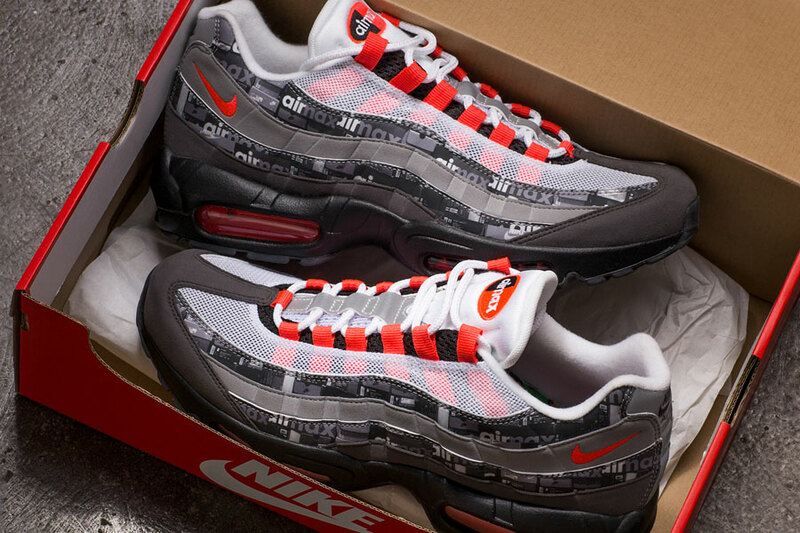 If you’re looking to cop one (or several) of the kicks, make sure to put 140 € for each the Air Max 1 and 90 as well as 170 € for the Air Max 95 aside.